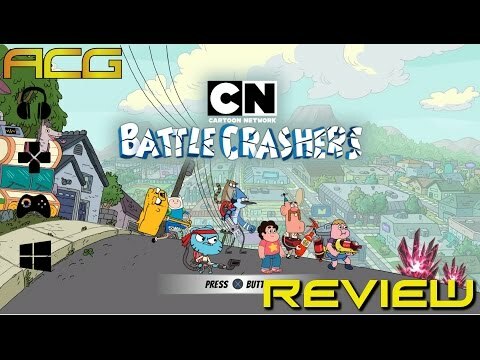 Cartoon Network: Battle Crashers is a repetitive, boring disaster of a game, and almost offensive in its disregard for the vibrant characters it's utilising. To suggest that kids would find any degree of enjoyment from this would be a disservice to their intelligence. It feels weird to see such low effort put into a title that has their name tied to it, but Battle Crashers has the names you know and love, and that only. I really wish there was something redeeming in Battle Crashers outside of the visuals. The game really does look great, and the fan service is certainly there, but the tedium of finishing a level is just deflating. I love the genre, and the license lends itself well to this type of game, but the developers somehow made this devoid of any joy to play. Cartoon Network: Battle Crashers is the worst type of licensed dreck, soullessly designed with absolutely none of the charm or creativity of the shows it depicts. By all accounts, Cartoon Network: Battle Crashers should be the hilarious mash-up that oozes fan service and charm from its every orifice. Unfortunately, this couldn’t be further from the product that was actually delivered. What more can I say? It’s been awhile since I reviewed something so awful. Don’t play this or buy it for your kids. The only outcome will be sadness. Cartoon Network: Battle Crashers looks nice, but unfortunately that’s the main thing it gets right. It controls competently and the combat works, but the level design is lacklustre and decides to force you in to replaying levels you’ve already completed that don’t feel different enough to warrant doing it.